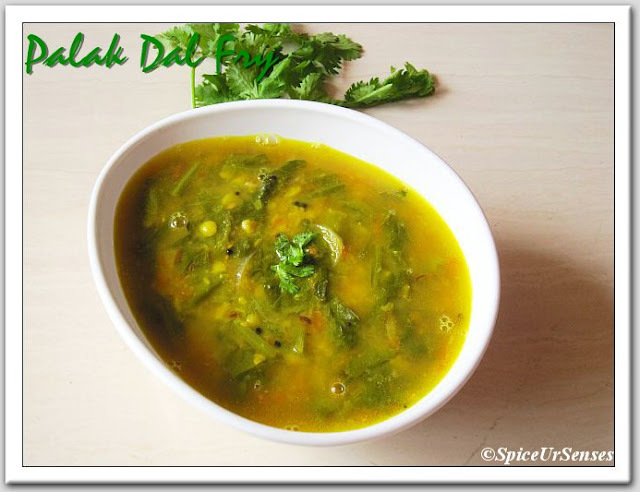 Wash and cut palak to a very fine consistency. and keep it aside separately. In a pressure cooker add dal, palak, tomato, ginger garlic paste, all masala powder, salt and with 2 cup of water. Close the lid and cook for 3 to 4 whistle in a medium flame. In the mean time you prepare tarka. In a deep fry pan, add oil, When the oil is hot add cumin, mustard seeds and curry leafs, when they splutter, add onion and green chilies fry to golden brown and keep it aside to cool it down. When the dal is cooked open the lid and add the prepared tarka to it and simmer dal for another 4 to 5 minutes. 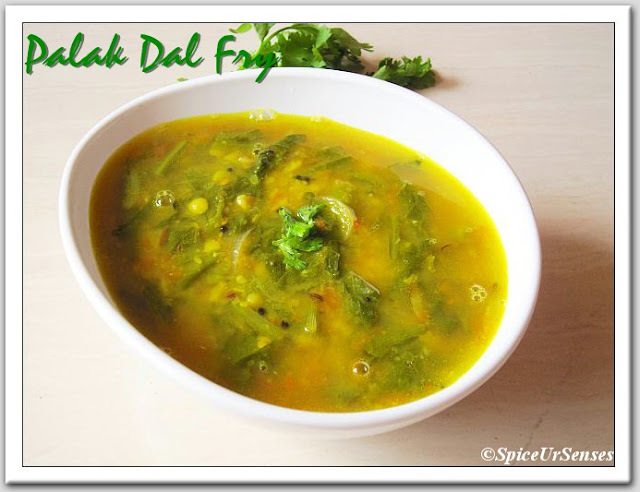 Palak dal fry is ready to serve. 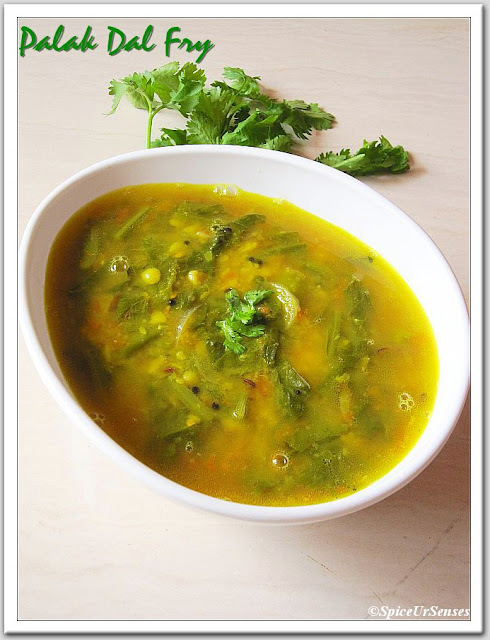 Serve hot with plain rice and papad..
mmmm.... I love these with rotis... a very healthy and nutritious food. How are you? A very happy new year to you and family. Here after a long long time. Just trying to say all my blog friends that I am alive and kicking ..ha ha . I was off blog because I was chilling in Sahara desert without a kitchen ( a fish out of water) and internet ( in the room) too. Very nice recipe , I just feel like making it and eating all. I wish I get some time to make this before I set sail again in a week's time. Let me see what all the recipes I have missed here and eat all virtually. Healthy combo and so yummy! Delicious and healthy one !! Hope u'll drop by my space n join my space too..